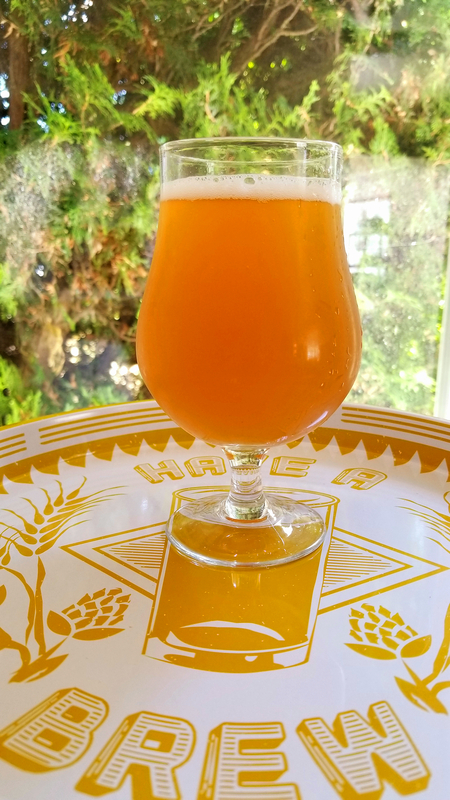 What do you do if you have an abundance of hops to use up and wish to make something a little more interesting than a standard IPA? Craft a 100% Brett. IPA of course. 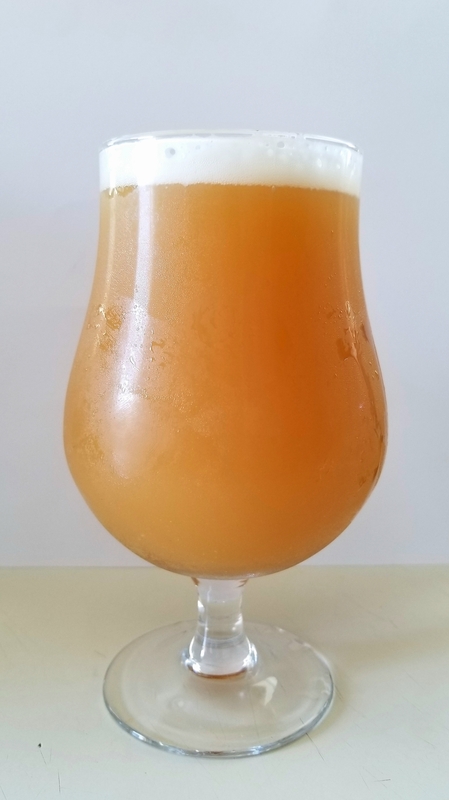 This brew follows a basic IPA recipe but utilizes some acidulated malt which drops the PH slightly and helps the Brett. along during fermentation. 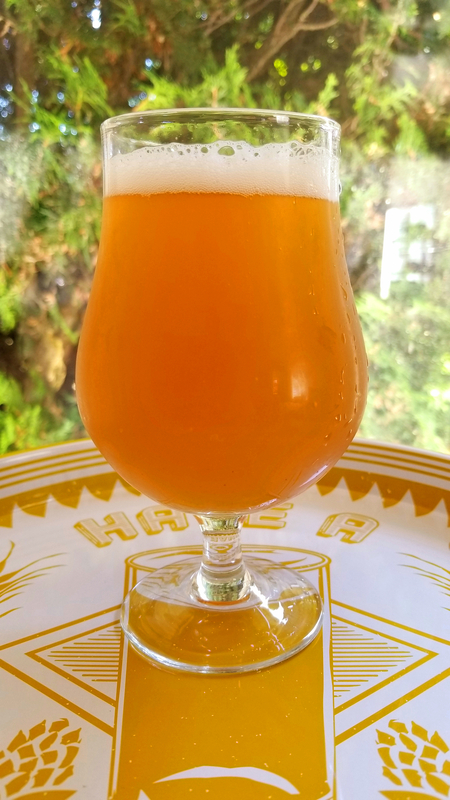 We loaded this brew up with generous additions of Centennial, Columbus, Chinook, and Ahtanum hops for their wonderful floral and citrus notes as well as some herbal and piney undertones. We originally pitched only Brett. Brux. Trois but had poor initial fermentation even though we had made a pretty hefty starter so we added a vial of Brett. Claussenii and fermentation picked up noticeably. We think this will turn out to be a happy accident as (if all goes well) the Brett. C. will contribute more fruity aromatics to compliment the dry-hopping while the more aggressive Brett. Brux. Trois should add a mellow tartness and some fruity funk. All was tasting on point at the time of transfer to secondary. 0.50 oz. Centennial (Pellet, 10.5% AA) @ 90 min. 0.20 0z. Columbus (Pellet, 15.0% AA) @ 60 min. 0.40 oz. Centennial (Pellet, 10.5% AA) @ 15 min. 0.50 0z. Columbus (Pellet, 15.0% AA) @ 10 min. 0.50 0z. Ahtanum (Pellet, 6.0% AA) @ 10 min. 0.25 oz. Centennial (Pellet, 10.5% AA) @ 05 min. 0.50 0z. Ahtanum (Pellet, 6.0% AA) @ 01 min. 0.50 oz. Chinook (Pellet, 12.0% AA) @ 01 min. 1.00 oz. Centennial (Pellet, 10.5% AA) @ 0 min. 0.50 0z. Ahtanum (Pellet, 6.0% AA) @ 0 min. 0.50 oz. Chinook (Pellet, 12.0% AA) @ 0 min. All late hop additions of “Centennial” are a 60%/40% Centennial/Columbus blend from Fremont Brewing. 10.15.14 – Made a stir-plate 2L starter with 1 White Labs WLP644 vial. Fed it for two weeks to build cell count but never saw much activity. 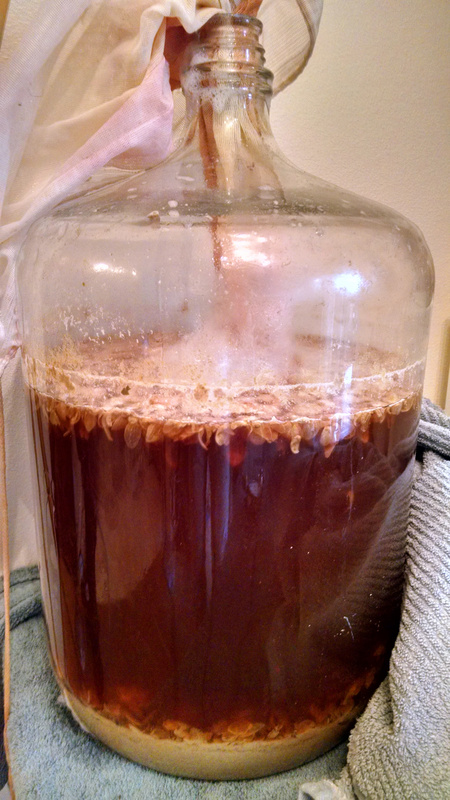 10.29.14 – Chilled wort to 70F before pitching yeast starter. 11.03.14 – After 5 days without much activity, we pitched a vial of White Labs WLP645 with temperature holding steady at 65-68F. 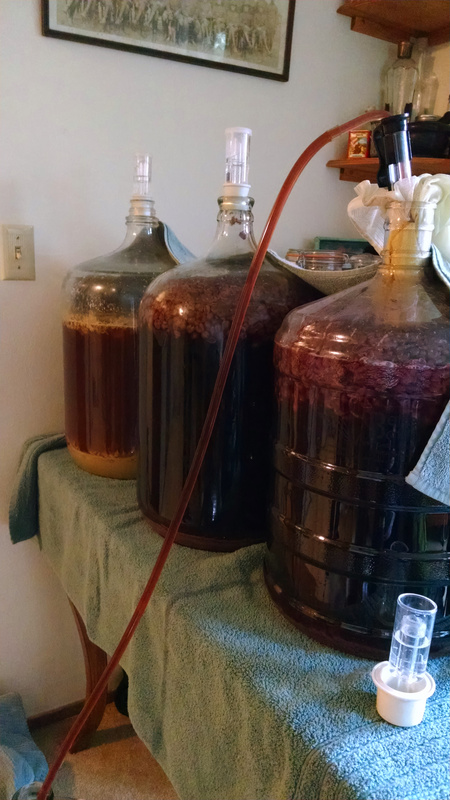 11.20.14 – Transferred to secondary fermentor after 17 day primary fermentation with noticeable uptick in activity after the addition of the Claussenii. Currently planning to let it condition for 27 days with the addition of the dry hops 5 days before kegging. 12.12.14 – Added dry hop additions. 12.17.14 – Kegged IPA with additional dry hops and carbonated and tasted it shortly thereafter. This beer did not turn out. Unfortunately it presents extremely grassy vegetal notes and a bracing, unpleasant bitterness. We’ve brewed 100% Brett. IPAs before, so in our troubleshooting we have ruled out the usual suspects (old or bad ingredients, missed targets, wrong fermentation temp., uncleanliness & poor sanitation). We were initially convinced that is was due to the stalled primary fermentation, however, when we transferred the beer to secondary it was tasting fine. We now believe we simply had too many hop additions and the dryness that Brett. imparts accentuated the apparent bitterness. This is our best guess even though the beer only clocks in with approximately 45 IBUs and a ratio of 0.71 IBU/OG, which is fairly low on the range of the IPA scale. Next time we’ll stick to a simpler hop profile. If anyone can come up with something we didn’t think of, leave a comment! 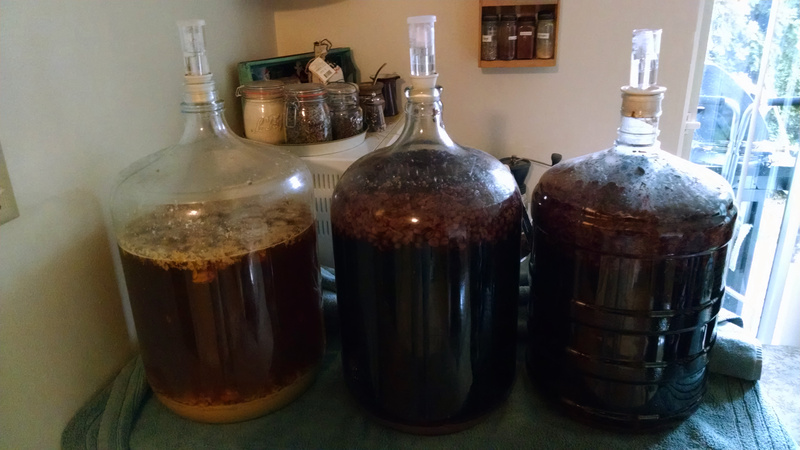 Yesterday Gregory and I transferred three different beers that have been working for some time now — (from left to right) 100% Brettanomyces fermented IPA, Cabernet Franc grape rye saison, & Cabernet Franc grape sour pale ale. I also transferred the Chanterelle Belgian Strong into secondary and added the mushrooms today. 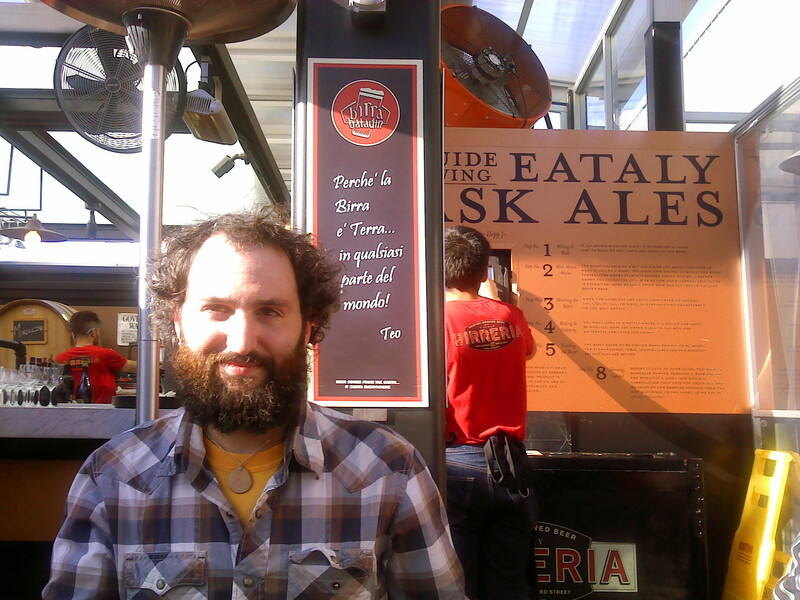 I’ll get individual posts and recipes for the three brews we transferred yesterday up very soon!